The program will provide multiple layers of assurance by working with the Nissan standard LEAF battery warranty to cover replacement costs for capacity loss below 70 percent up to 60,000 miles and protection against defects in workmanship or materials for 8 years or 100,000 miles. The firm does not believe there is any fault in the current product, but thinks such assurances will serve to tip fence sitters over the contract signature hurdle. "Nissan anticipates that the great majority of our current LEAF drivers will never need this battery replacement option,” stated Erik Gottfried, Nissan's director of Electric Vehicle Sales and Marketing. “However, this program is yet another example of Nissan's commitment to deliver peace of mind for our continually growing community of LEAF drivers." 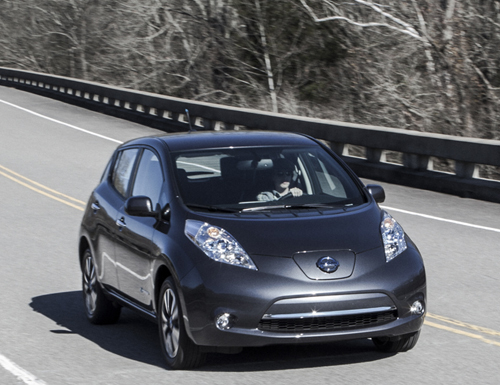 Nissan conducted a global survey of LEAF owners and prospective buyers showing the public would prefer a monthly payment program, and assurances the battery will retain its charging capacity. Publicly available industry data was also mined to craft the replacement proposal. The program is modeled after the European business models of both Nissan and competing OEMs, wherein the majority of electric vehicle leases are arranged with battery leasing kept separate from the vehicle. "Technology is evolving and battery prices are projected to decline as EVs become increasingly mainstream," said Gottfried. "Therefore, this new battery program today affords more flexibility for the future so that customers can both upgrade to the latest available technology for their LEAF and enjoy more predictable vehicle operating costs." Specifically, at a cost of $100 per month, LEAF batteries installed under this program will be assured to maintain at least 9 bars capacity, approximately 70 percent, and covers defects in materials or workmanship as long as they own the car and remain in the program. Nissan will replace the battery with a new or remanufactured battery to restore capacity, similarly to the existing expanded battery capacity warranty. Essentially, this means buyers of new or used Nissan Leaf zero-emission vehicles will have the option of replacing the battery for any reason and have full coverage of the lithium-ion battery pack while they own the car as program members. Nissan will announce further details as the program launch nears.